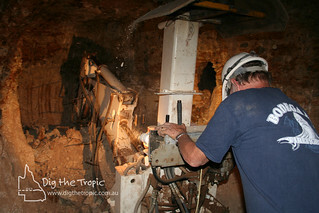 Follow DigTheTropic.com.au: Buried treasure waits! The largest sapphire gemfields in the Southern Hemisphere lie in Queensland’s Central Highlands: Anakie, Rubyvale, Sapphire and The Willows. Like many of the wonders along the Tropic of Capricorn, the Sapphire Gemfields are a product of incredible time and climate change. Head to the Rubyvale Gem Gallery for a guided mine tour.